July 16, 2015. 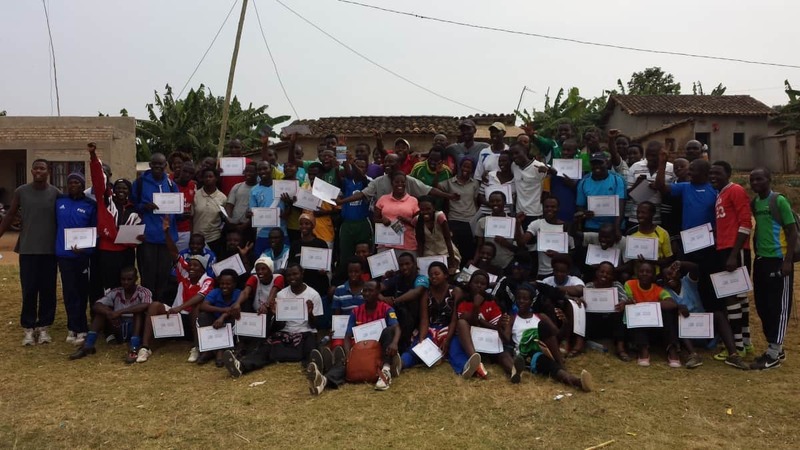 Volunteer Cristian D’Onofrio blogs about his first experience in Africa during his two weeks in Rwanda volunteering with CAC as we partner with Football For Hope, Peace, and Unity. During my second week in Nyanza, I started to understand a little more about what life in Rwanda is like. I had already completed my first week in Rwamagana, but as this is my first time in Africa, it took me awhile to settle into the culture. 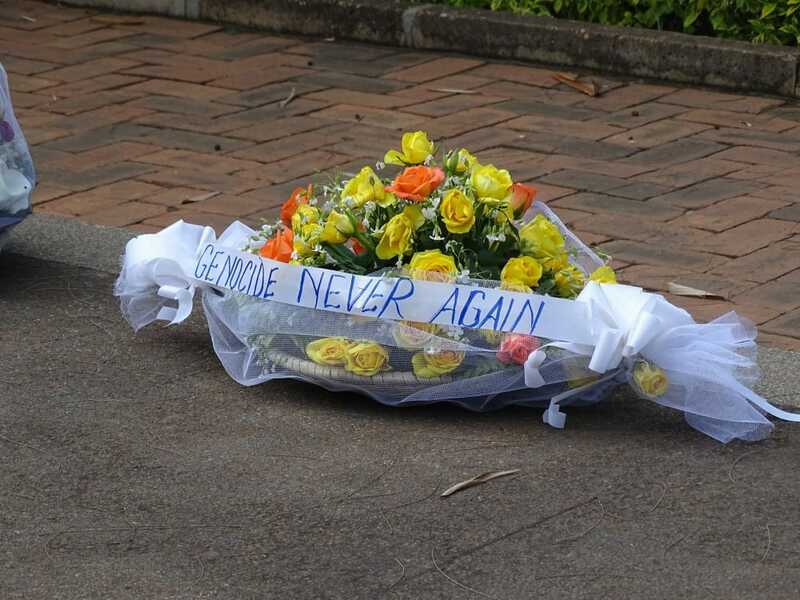 I knew that Rwanda experienced genocide in the early 90’s, but I was eager to see how the people of Rwanda responded to such a divisive and brutal event. Twenty-one years on, there is still rebuilding and restoration to be done, but the mindset is a fairly progressive one. One game that showed evidence of this mindset was a game called Perpetua for Gender Equity. This is a game in which two teams try to score on each other but are separated into groups based on jobs that women can do. Before the game started, the whole group mentioned both culture and mindset as the primary reasons that women and men do not have equal job opportunity. It did not come as a huge surprise to me when the groups selected very traditional responsibilities. This showed that gender roles were deeply rooted into their own culture. Strangely during the ending discussion there was little resistance to the idea the jobs were interchangeable between the sexes, and the fact that Rwanda has one of the highest percentage of female politicians in the world was brought up. Both the men and the women of the group were proud of this, but they all agreed that there was still work to be done. 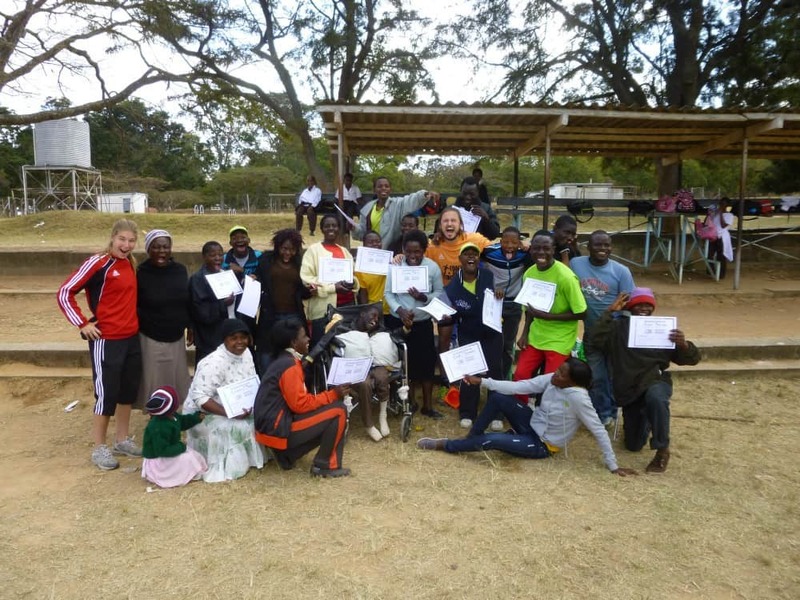 One evening we were invited to attend a training session for one of our member partners, a group called Kids Play International (KPI) in the nearby village of Gatagara. It was a 25-minute ride by motorbike, and the journey through the rural countryside of Rwanda was a special experience concluding with a welcome song from the kids of the organization. 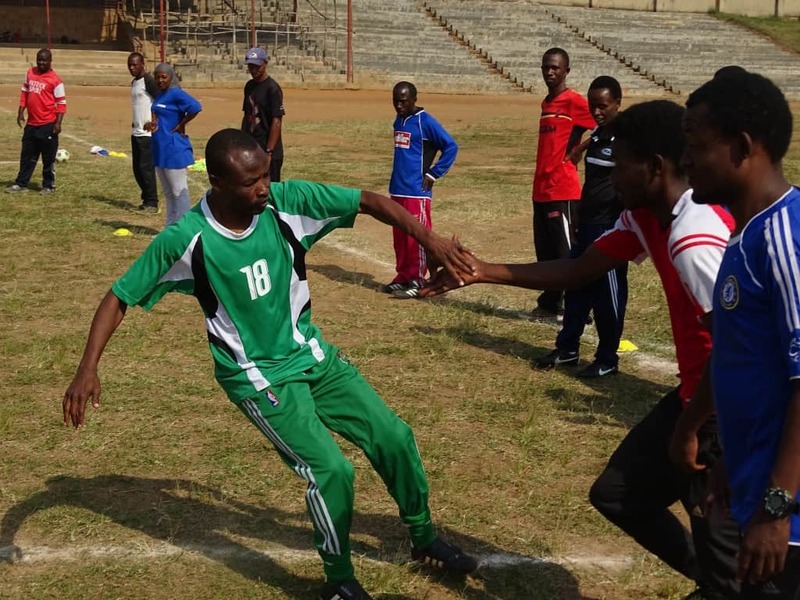 The coaches got straight into training, eager to show off what they had learned during the weeklong coaching education program. It was great to see that even before the end of the week the coaches were implementing and adapting some of our games to fit their own needs and priorities. 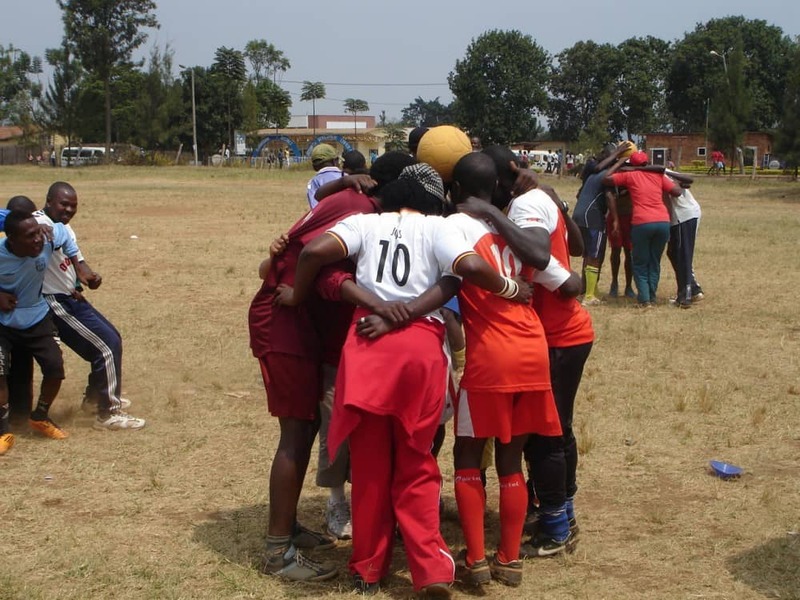 This week during training we had a relatively high percentage of returners as well as women coaches and teachers that really fueled the group’s ambition to both understand and implement our messages. This mentality makes me both confident and excited for all the coaches going forward. 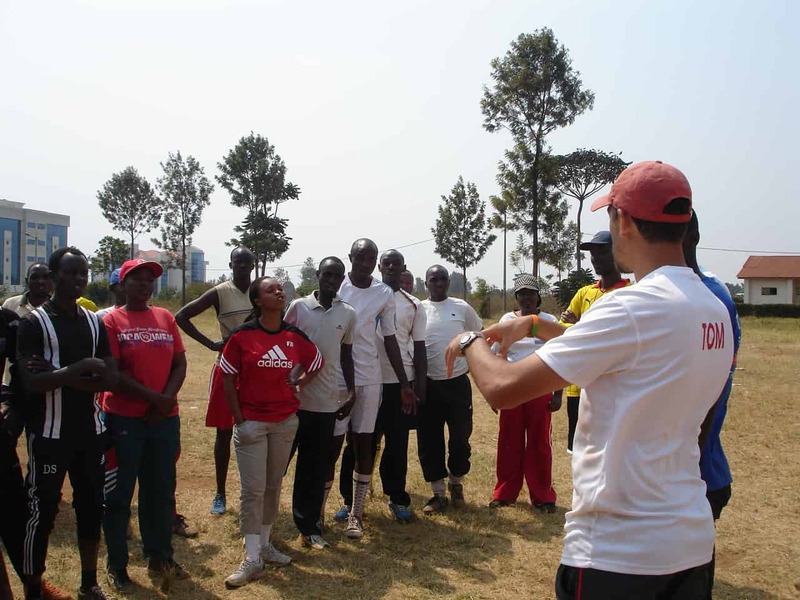 Senior Staff member, Markus Bensch writes about his first five months with Coaches Across Continents. September 4th, 2014. While writing this I’m sitting in the Atatürk Airport in Istanbul waiting for my connecting flight to Nuremberg, Germany. It will be my first time back in my country of origin after I started to work for Coaches Across Continents in late March. What has it been like in the past five months? Amazing, challenging, rewarding, tiring, refreshing, fun, exciting, and shocking … All those and many more adjectives can describe my experience with CAC and the people I worked with. I want to start with the most recent one that I had in Rwanda, because it’s the one that is the most fresh and that was also the most intense in so many ways. 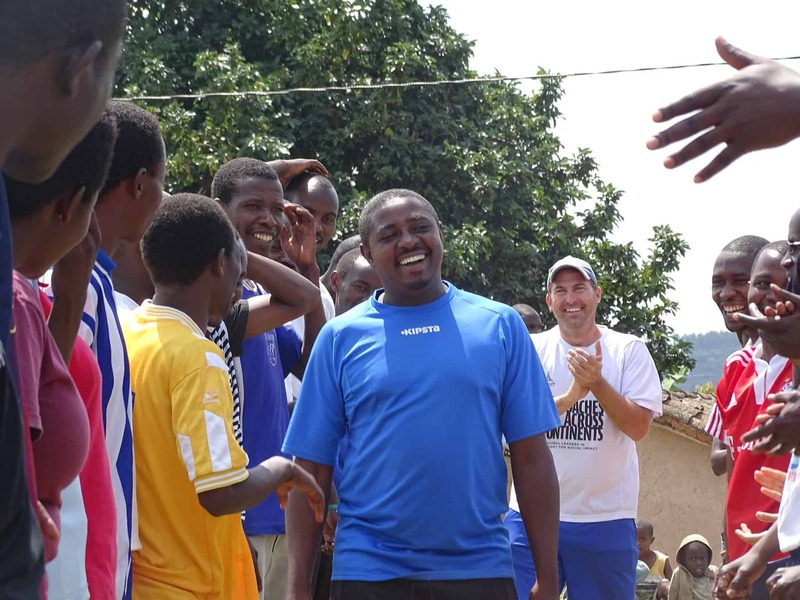 We were running four different programs in Rwanda with our partner Football for Hope, Peace & Unity (FHPU) represented by its founder Eric Murangwa and his colleague Didier Bana. 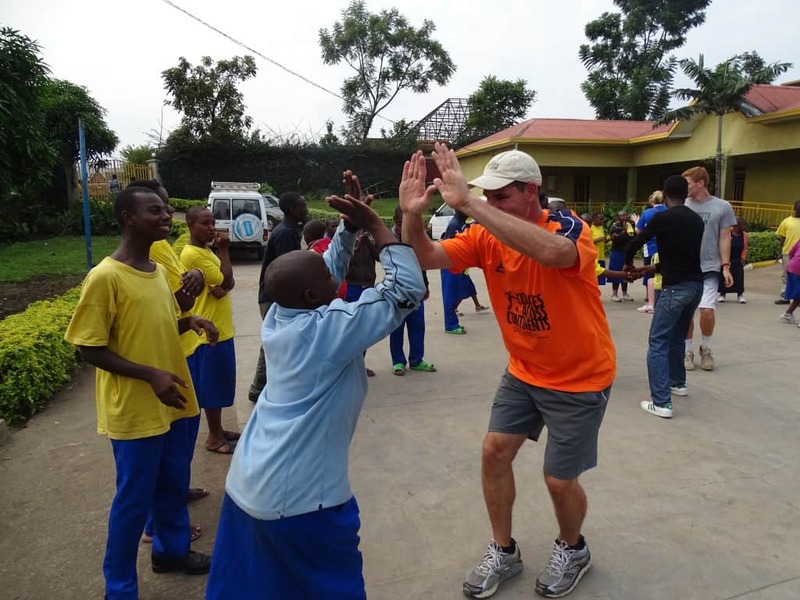 There have been previous blogs from Nora, Tom and Yael as well as from Francis saying how impressed we’ve been about the participants, their eagerness to learn, and their motivation to make a difference for their community and Rwanda as a whole. There is so much dedication towards development and change that when you speak to Rwandans at some point during the conversation they all mention the genocide in 1994, it seems that a lot of the dedication and motivation comes from this horrible killing of over 1 million people. On my last day before I left Rwanda I caught the chance to go to one of the memorials that can be found in all different parts of Rwanda. Didier from FHPU, an excellent guide, accompanied me on this trip. We went to Ntarama, a catholic church where one of the mass killings took place. As so often in history the church collaborated with the perpetrators and helped or even justified and blessed the killings. More than 5,000 Tutsis were killed by Hutus in Ntarama on the 15th April 1994 after spending 6 days in and around the church trying to escape the killing. The local tour guide took us through the different buildings around the church and I faced the most shocking picture in the room where the Sunday school took place. There was a bloodstained wall witnessing the killing of the children that were hiding on the church compound. Their heads had just been smashed against the wall and the blood remains on the wall until today as reminder of this horrible killing. And right next to it I saw a 2 meter long pointed wooden stick and the guide explains to us that this was used to kill the women after they have been raped by impaling them from their privates through their head. My breath stopped for a moment, followed by pain in my body, the feeling of emptiness and crying. I feel that with my tears I can give back these victims at least a little tiny bit of compassion and human kindness that they have been missing so much in the last moments of their lives. It’s horrific what humans can do to each other when they’ve lost their humanity. On a sheet that is covering some of the coffins inside the church is written in Kinyarwanda the following sentence: “If you would have known me and if you would have known you, you would have not killed me!” This outcry tells us the reason for this mass-killing and how it could have been prevented. But Rwanda is not only about its past and the genocide. It is first and foremost a beautiful country with amazing people. I’ve experienced so much friendliness and so much help when I tried to orientate myself as a stranger in a new country. 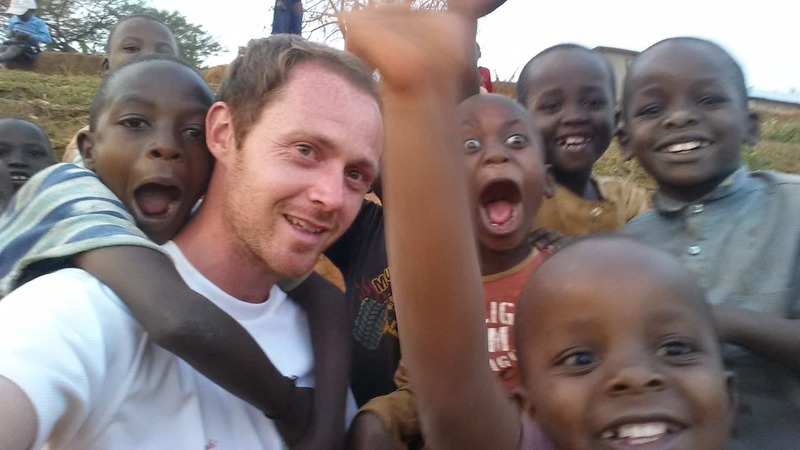 And I’ve experienced so much kindness and humanity; I’m particularly impressed by the honesty of many Rwandans. In my one week holiday in Rwanda I also saw the beautiful nature of this country. My favourite experience was the two day cycling tour from Gisenyi to Kibuye along the Lake Kivu in the west of the country. Knowing that Rwanda is called the country of thousands hills, you can imagine how much I was physically and mentally challenged in these two days. These are the most recent experiences and definitely also one of the most intense of the past five months and will remain and definitely influence me in the time to come. Looking at the wider picture of the past five months I’ve been a part of or in charge of 14 different CAC programs in 5 different countries. And I can just confirm the CAC saying “Every program is different!”. I have had a great introduction by Nora in Uganda and Sophie in Tanzania to the CAC philosophy and curriculum. I want to say “Thank you!” to both of them for their support. After 7 weeks I felt well prepared to run my own programs. 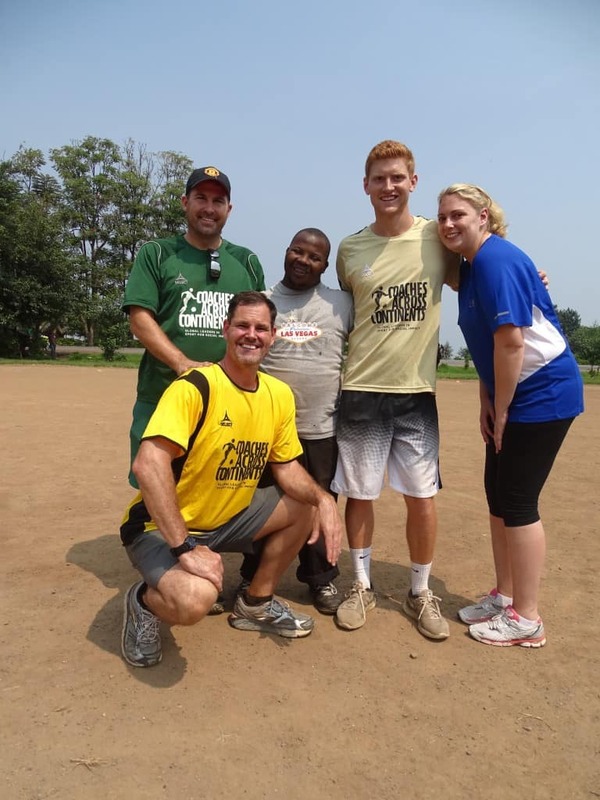 To lead the programs in Zimbabwe and South Africa was the next major step for me. I think I learned a lot in this time and as Nick did testimony in my last skype call: “I became less German!” I’ll take that as a compliment and I’m curious what I’ll become. More African? More Cosmopolitan? More relaxed? Hopefully a bit of everything! The most rewarding in the past five months was to see how all the groups I worked with differ. The surprise that comes up with each group makes my work so interesting and exciting and at the same time challenging, because it requires the openness on my side to support the development that comes up within the group initiated by the individuals. It is very exciting to put self-directed learning into practice and I like the challenge to get better in it with every single program. Development and Self-Directed Learning is not only reserved for our participants, but through my work it reflects on me and questions my beliefs, assumed limitations, and gives me the opportunity to broaden my borders and develop skills. I want to say “Thank you!” to Nick and Brian for giving me this great opportunity to be a part of the “CAC family” to develop my skills and personality and contribute towards “Football for social impact.” Last but not least I want to say “Thank you!” to all the people who work off the field and behind the scenes to make my work on the field possible and easier. I just recently learned that CAC is a fast growing business and we already count 60+ people who are involved in our vision of using football for social impact and contributing time towards CAC. I’m proud to be one of them! August 6, 2014. 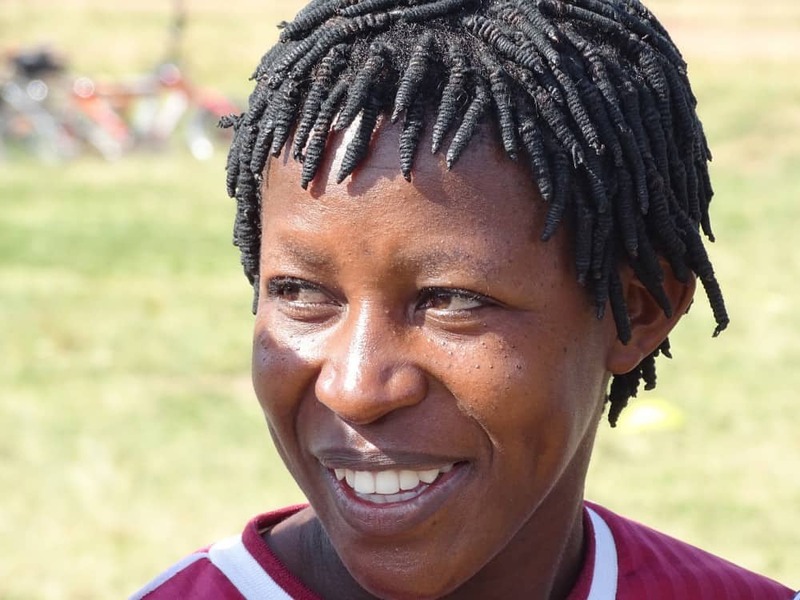 Francis Davin joins CAC On-Field for four weeks in both Rwanda and Cambodia. 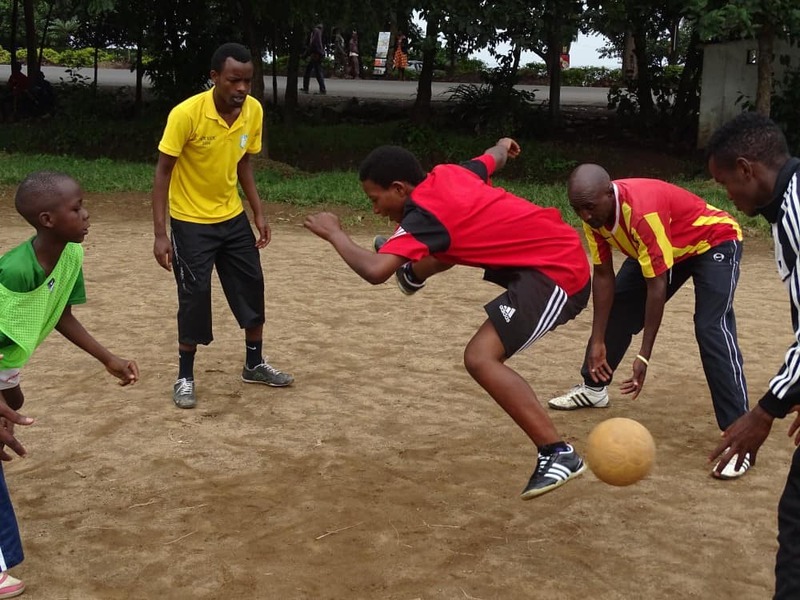 He writes about his first impressions and the final Rwandan program in Kigali with FHPU and Dream Team Football Academy. The Rwandans are an amazing people. Everywhere I go I am met by smiles and very respectful attitudes towards me the strange white guy. A country still recovering from the wounds of the genocide in 1994 is rebounding forward with embrace for foreign culture and a new found unity. By trying to look at the future whilst not forgetting the past all the people I have met have a renewed attitude that they can look at the positive things in life now and appreciate them more. Whenever I travel around with a Rwandan colleague and bump into a stranger to ask for information I’m shocked to find out they are friends already as they laugh and joke and finish talking with a hand shake and a good bye. Then when I ask how they know each other I find out they aren’t actually friends but everyone just talks like that with each other now – everyone treats each other as friends. It seems the past segregation and division between Hutus and Tutsis and the killing of over 1 million of the population now promotes a new era of friendship and togetherness. Simple things are the best things here, no one worries about making sure their tan is the correct shade or that they must watch the latest episode of that new TV show, an old used tire is the greatest play thing for a kid (after a football of course!). It puts a lot of things in perspective very quickly and makes you appreciate what we have in our world. The happiest moment I saw so far was a group of 20 or so kids with clothes they have clearly been wearing for months, being given a soccer ball to play with. Instantly teams are formed and a game with sticks in the ground for posts is under way. I remember the amount of player’s soccer balls I have in my car that have been left behind at a practice in the US and think how the kids here in the streets a would treat them like diamonds. Hearing the stories of what happened during those 100 days from genocide survivor and ex professional football player Eric upsets me and makes me continue to worry for a species that can instantly turn and kill each other’s friends based on radio announcements, propaganda and perceived differences in the shape of someone’s face. But all that history here creates a motivated culture that will never let it happen again has united everyone to move into a brighter future. On the field the enthusiasm is second to none. The coaches want to learn and want to improve and take part in anything with so much energy it’s infectious. On Tuesday we spent a long morning on the field and wrapped up about 1pm to head back into the coolness of the hostel. At 4pm we arrived for an evening visit at an orphanage in a village 30 minutes away only to find a coach we’d worked with all morning volunteering his time to help out there. On the final day we had coach backs which was a chance for the coaches to try out the games with teams of local kids while we watched. As we arrived early as usual (thanks Didier for your wonderful driving) we found coaches arriving and forming a group. Before we even said anything they had organised themselves into 3 groups, including a time keeper and logistics expert in charge of cones and balls, and were coaching our games! Self-directed coach backs! Nora was incredibly happy. Marcus being the German said it was all part of his Vorsprung durch Technik plan! Before I joined CAC I knew what the idea of self directive learning and using football for social impact meant, but I didn’t realise the impact would be so profound, direct and resonant. I also admit to being surprised in a good way by the beauty of Rwanda physically and culturally. When I left I took a piece of Rwanda with me – a new outlook on life and an adjusted perspective will enable me to prioritize and promote peace and hope above all else and a new point of reference for my life.